I found the links easy to remove with correct size quality screwdiver. Also didn't have any problems at all sizing mine. Mine honestly didn't seem to have been glued in. It did include a deployment clasp! I must say I never tried removing them. I don't have the tools and the swatch service centre is only fifteen mins away from where I live. However I Can see the locklite on the screws when they gave them back to me after I sized my bracelet. I did pester them by experimenting with a few different clasp positions so I cannot remember what the screws were like after my first sizing. 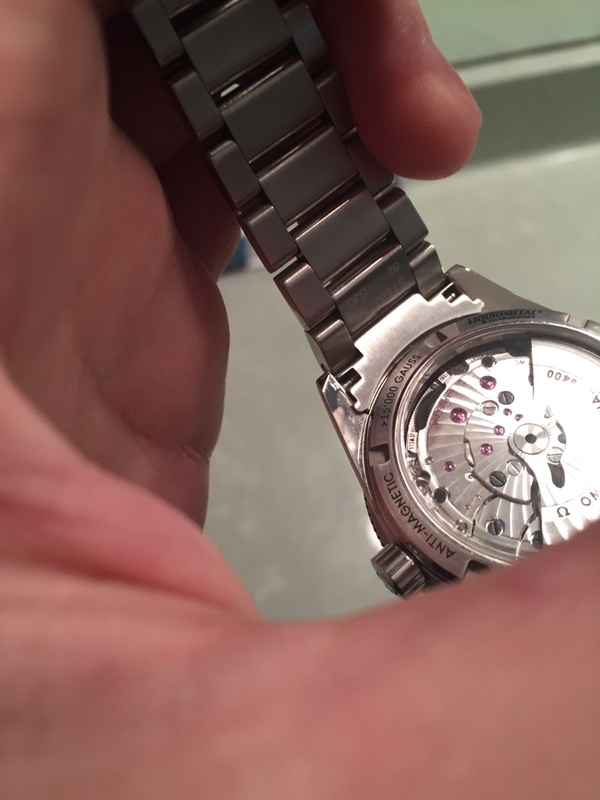 Perhaps no glue is used when the watch is new and just out of the box. But I think the swatch service crew use the glue when they resize the bracelet. Well, I bought mine 'unworn' - which is just another expression for 'the guy who wore it didn't put any scratches in it', so it's entirely possible that mine had previously been sized. Mine was clearly unsized. There may have been some loctite on the screws as I firmly turned them. Mainly I was pointing out a quality correct size screwdriver is required. 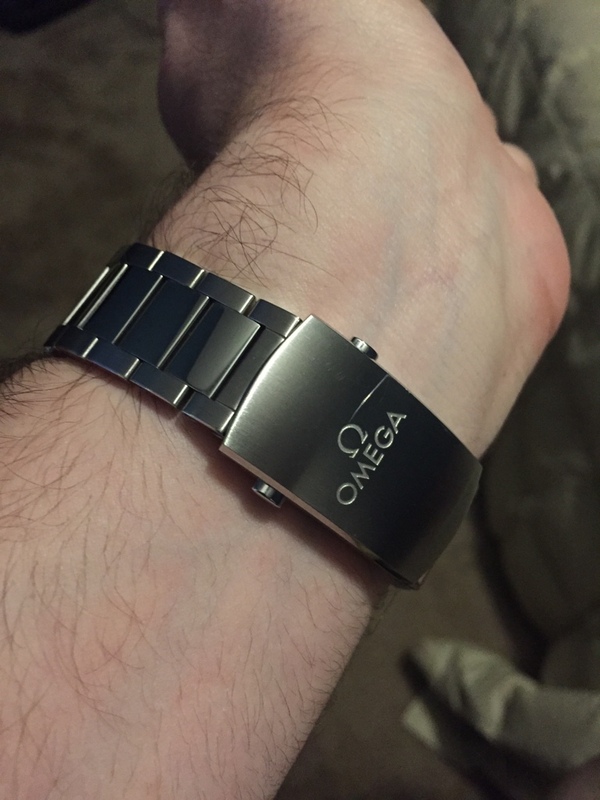 Not true, I gave my 1yr old Seamaster Pro 300M ceramic chronograph diver to my son and missed mine, so I bought another on May 18th, but it truly remains "unworn" to this day. I keep thinking I might exchange it within 90 days for a GSOTM, and so I didn't wear it yet. 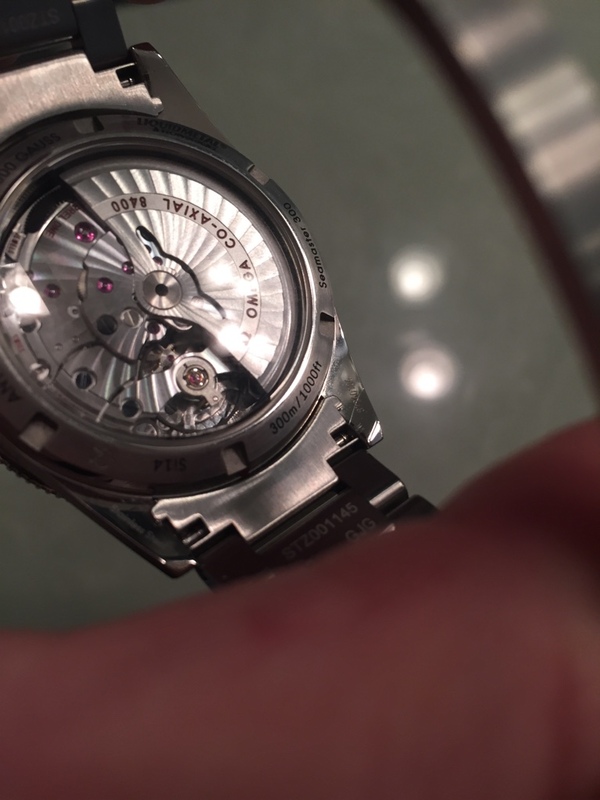 A lot of people buy a new watch to fondle and ogle, but are afraid to wear it because they have other watches to scratch up first. Isn't it about time you got one of these? Last edited by Sustinet; July 7th, 2015 at 04:25.